The Caribbean is known for dazzling, aqua-marine waters, white sand beaches and swaying palm trees. If you're planning a trip down south, and you have visions of snorkelling with turtles in the crystal clear sea and sipping cocktails while sailing past idyllic paradises, then you should plan a trip to the Tobago Cays. 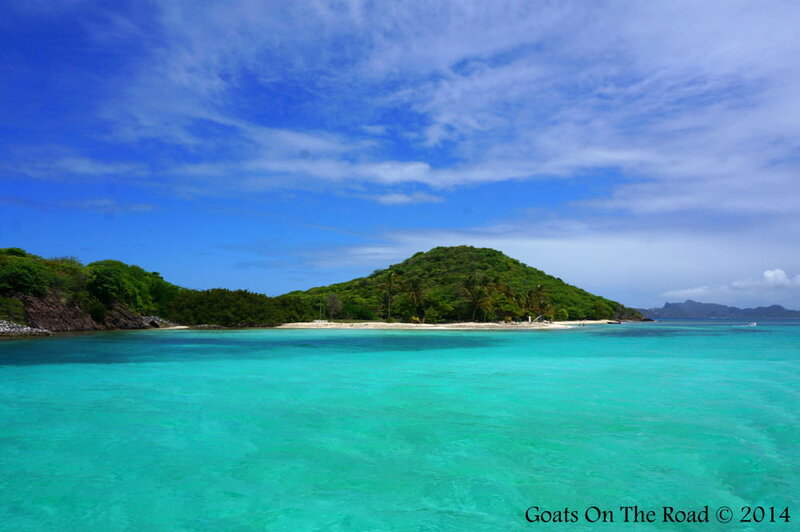 Known as the Jewels of the Grenadines, this small cluster of mostly uninhabited islands form a 1,400-acre (5.7 km2) National Park and Wildlife Reserve. You simply won't find a better representation of a Caribbean paradise anywhere else in the perfect blue sea! Assuming you're not arriving in the Grenadines aboard your own sailboat, you'll have to hire one to reach the Tobago Cays. 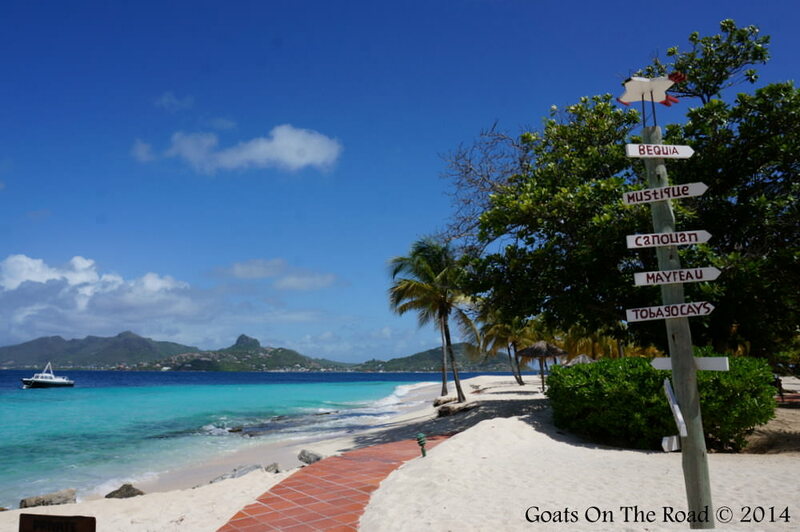 As soon as you enter St.Vincent & The Grenadines, you'll start seeing signs for a tour to the Cays posted on every travel agent's window. 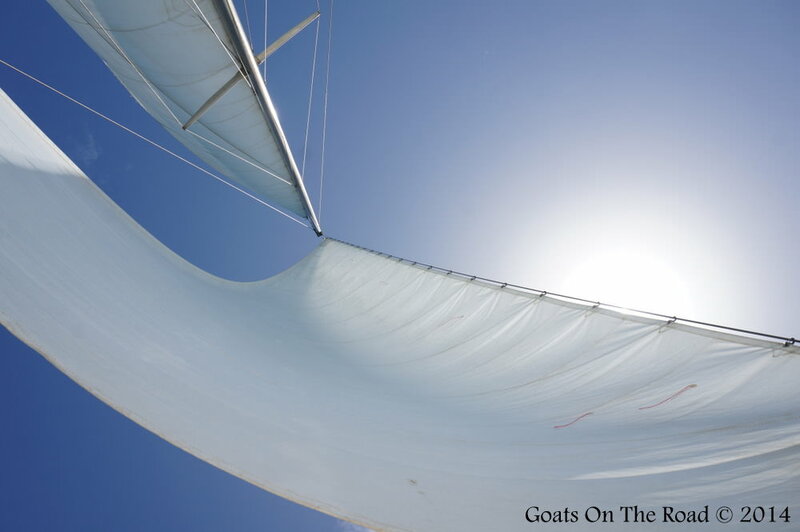 We highly recommend sailing aboard the Yannis, a beautiful 60ft long catamaran. Head to Union Island and talk to Marius over at the beautiful Kings Landing Hotel and he can set you up with a day trip aboard the Yannis. They'll even come and pick you up for the tour! Costs vary depending on who you choose to go with, but after we did some pricing out around the island, we're sure that the Yannis is by far the best deal. You pay $100/person including snorkel gear, breakfast, lunch and ALL DRINKS! That's right, you get to cruise the Cays in style with bottomless rum punches, beer and cocktails! 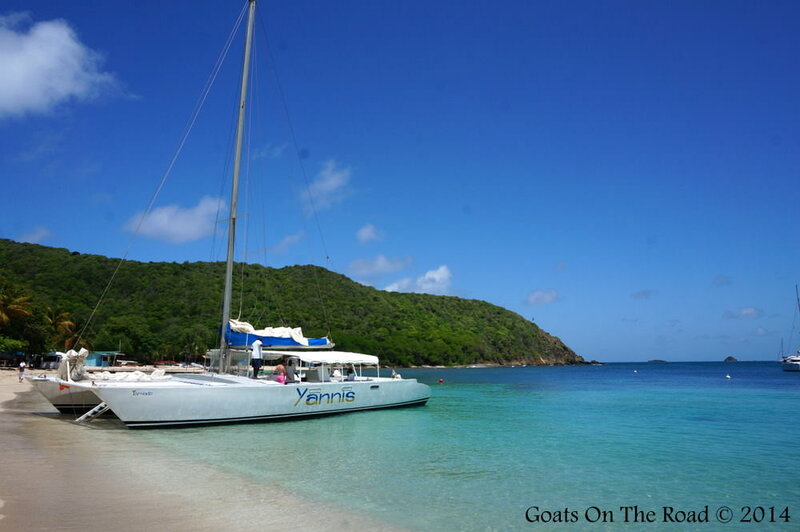 Island Hopping: The typical Tobago Cay tour takes you to a few islands of your choice. We highly recommend stopping at Mayreau on the way where you can enjoy the beautiful palm lined beach of Salt Whistle Bay. From there, take your pick of one of the five picture-perfect atolls, where you can choose to swim, snorkel, lounge or tan. Diving: There is also great diving in the Tobago Cay Marine Park so if you're a diver, you may want to organize a few tanks around the amazing reefs in the area. 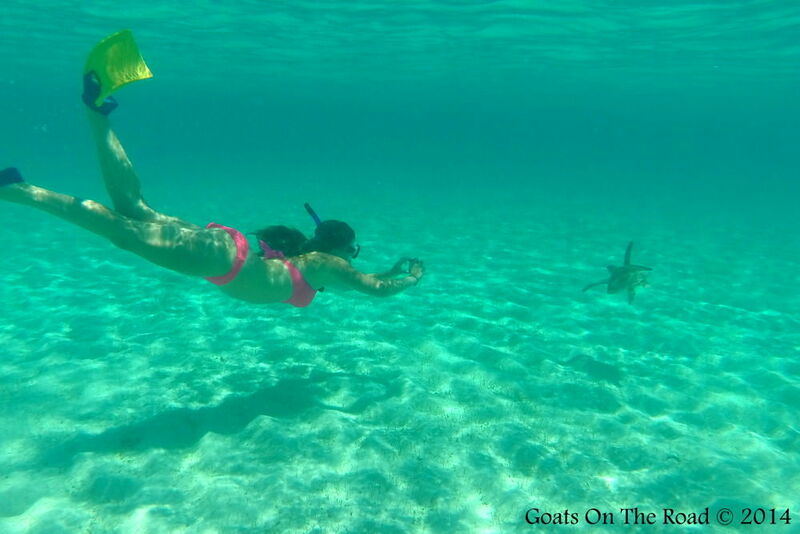 Snorkeling: Every tour should bring you past the Baradal Turtle Sanctuary, a protected area where green and hawksbill turtles can be observed foraging freely. We were lucky and saw dozens of these slow-moving grazers chewing on grass and lazing on the sandy bottom. The best place to snorkel for coral and fish life is at Horse Shoe Reef, an excellent Coral Reef site with an abundance of tropical fish species and both soft and hard corals. Hiking: Petit Bateau, James Bay and Petit Rameau boast hiking trails where you can observe an abundance of tropical flora and fauna including iguanas, geckos and birds. 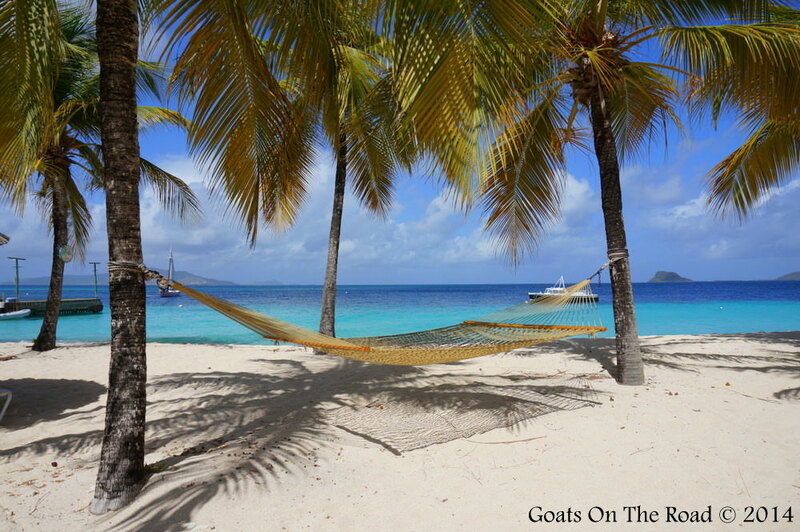 They also provide excellent panoramic views of the Tobago Cays and the rest of the Grenadines. Site Seeing: You'll also likely sail past Petit Tabac, the island where Captain Jack Sparrow was exiled in the movie Pirates Of The Caribbean: The Curse Of The Black Pearl. The Tobago Cays can be visited pretty much anytime throughout the year, but keep in mind that the winter months are crowded and the seas are often much rougher than they are in the summer. 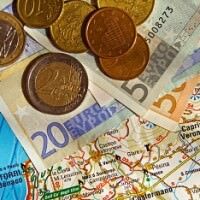 The perfect time to visit is between May and August. If you come around the end of June, you may even be able to catch the festivities of Carnival on the other islands in SVG. What Sets These Islands Apart? The Tobago Cays are known as "The Jewels Of The Grenadines" because of their incredible natural beauty, but for many visitors it is the sheer clarity of the water and the blinding white color of the sand that really set them apart. Each island has its own attraction and together they form one of the most beautiful marine parks on Earth. It's no wonder that Disney decided to film Pirates Of The Caribbean among these stunning, palm-fringed oases. If you're looking for a real island getaway, we highly recommend coming down to St.Vincent & The Grenadines and checking out these world-class beauties. You'll be hard pressed to find a more idyllic beach anywhere in the world... and you get to explore these to the slow, Rasta melody that makes the south Caribbean so memorable. 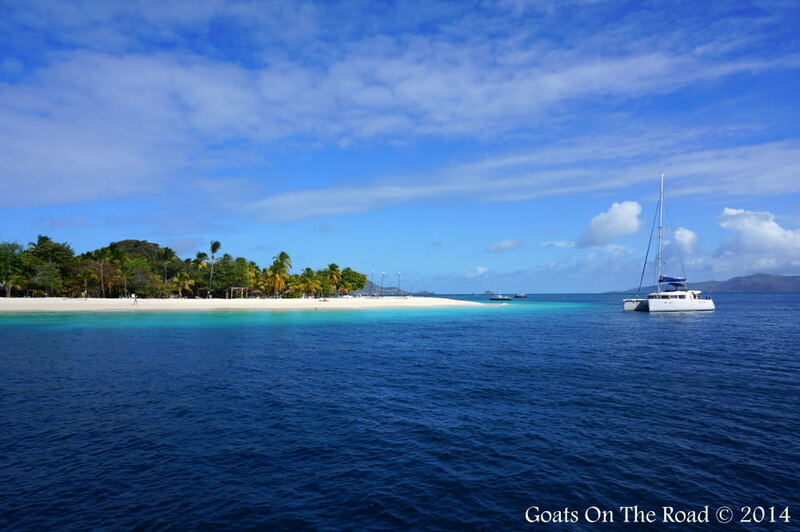 Check out this video of sailing the Tobago Cays!